Dr. Hickman, developer of the universally used Hickman catheter, has died at age 92. He retired at least three times, but always felt the call to return and serve. At age 83, and after having retired twice, he placed my first port in July, 2008. Ironically, both of my Hickman catheters were placed by other physicians. Being a sentimental sort, I have my original power Port and the accompanying card bearing Dr. Hickman's name in a shadow box. OK, it's an unusual display, but without it, I would be long gone. Doctor Hickman, rest in peace! I was unfamiliar with him, but it is sad when the great healers pass. I found the information in the link very interesting. Doing SCT since the 70s ? I did not know the proceedure had been around that long. But, my own hospital celebrated their 1,000th SCT two years ago. That is too bad about Dr. Hickman. But I'm glad he was able to keep working so long and lived to be 92! He served the community, esp. cancer patients very well! I had one of his catheters, too. Glad I had it instead of having to use my veins! I didn't keep it after it was taken out, however! What is the latest on you? I hope you are doing well and are at home feeling good? Will you be at SCCA Monday or Tuesday? I have my one-year-post-transplant appointments there then. Let me know; it would be nice to meet up. Latest tests report I am still in remission! Thank God! I am very grateful! Thanks for contributing to this board! i was under the impression that all veinous catheters used for chemo were called Hickman lines, a very generic term. I did a bit of research before mine was installed and seem to remember the big innovation was that Hickman introduced an infection barrier. Since I will likely need another one in the future, any help in understanding the different catheters available would be appreciated. There are definitely several (actually many) brands available. Mine was called a Medi Port or something like that. Also, mine was installed on the left side because that is closer to the veina cava. Is that standard location? Can a new port be installed on the same location or will it need to be on the right next time? I will ask my Dr in late May at my next appointment. What I did was just trust my physician to select the port. We didn’t even discuss it. Just like with drugs, there is a lot of money involved in purchasing and installing ports and may involve what I could only call “commissions” paid to the prescribing doctors. That is certainly true for drugs. Hopefully that is not a factor in port or drug selection for our physicians. In my last infusion I was there 3.5 hours and my insurance was billed $18,600 - almost $5,500 per hour. Multiply that by the other 15 people in the center at the same time. That kind of money can corrupt some people. As for ports all we can do is assume all available ports meet the same minimum standards. That said, I am just thankful my treatment seems to be working. Dead people have no need for money. I assumed my port, on the right, was a standard location. I saw a thoracic surgeon recently and he commented that it was I’m odd location. He said he usually put his further down and more toward the shoulder or on the left, but left get irritated by seat belts when driving. Mine was Straight down from the collar bone. My port use was in 2009/2010, but most of the following is likely still relevant. Some ports will accommodate CT contrasting agents, and some will not. Obviously, one that will is more convenient. When I used to go for my pretty-frequent scans, the radiology women always asked me "is your cathiport contrast capable ?" Mine was not, so I had to take the contrast either orally or in a hand vein -- I can't remember which. The general surgeon who installed my port, who does a lot of cancer-related surgeries, asked me beforehand if I wanted the port on the left or right, and told me that they were equivalent surgically. I went with "left," since I have a lot of trauma scar tissue on the right, but he told me that if I ever need another, using the right is fine. On in fusion days, my infusion RNs (if it was not my regular guy) always asked "Do you have a port ? ", and after I said yes, they then asked "Which side ? ", which made me believe that the choice of a side is pretty random in their clinical experience, and they do infusions all day, every day. My port was installed in Nov 2009 and is still being used for Rituxan infusions, blood draws and phlebotomies. It is a medi port, safe for contrast materials and is smaller than a pediatric port. I chose to have it implanted on the left side because i've been radiated on the right for breast cancer. The Interventional Radiologist who implanted the device said it's easier to implant on the right side and there are less problems due to blood clots if on the right side. One of my wires goes up and over my clavical, took a while to adjust to the feeling as it's pretty noticable. Because I have a slight frame and no body fat the port is right there on top, no problem noticing the three dots which for the triangle of the med-port. One cool thing was the doctor looked at me with a bra on and marked so that my port did not cause problems with my bras. It's my understanding that some doctors place the ports in adolecent girls below the bra line so as to not leave the teens with a scared upper chest. I also thought that Hickmen ports were the ones that had line that hung out from your chect and were used for BMTs and the like. And that the medi ports, much smaller, were used for day to day chemos, blood draws, etc. Does anyone know if that is the case. I believe Hickman was inventor of the actual catheter tube only - not the entire contraption including the implanted port (reservoir). That is why it is referred to as a “Hickman Catheter” and not (usually) as a ”Hickman Port”. Thats my story and I’m sticking to it! Lol. There are as many names for ports as there are manufacturers. 'Bard' makes the Power Port, while others make Port-a-Caths, Vortex ports and others. All are implanted beneath the skin and use a tunneled catheter to access (usually) the superior vena cava. Placement is usually in the upper right chest, but can vary from patient to patient. Each has its specialty and its limitations. Port-a-Caths and Power Ports are used for chemotherapy and routine blood draws, transfusions and even stem cell transplants. The Vortex Port is designed for ECP/ExtraCorporeal Photopheresis and is a specific design for that purpose. It can use use two way lines to increase collection/return rate of the blood. That process is similar to dialysis in the collection and return of the blood, but otherwise is completely different. Extracorporeal Photopheresis/EC is a treatment used for some autoimmune diseases as well as Graft-versus-Host-Disease (GvHD) from allogeneic stem cell transplants. It involves the treatment of T-Lymphocytes so as to reduce/mudulate their activity. Years back, Dr. Hickman examined the Broviac catheter and and made his improvement which was the addition of a dacron collar at the inertion point. This reduced infections somewhere in the 90th percentile - a huge improvememt which saved innumerable lives. Normally, implanted ports (beneath the skin) need flushing every 4-6 weeks so that your blood does not clot and block the tubing. External lines (PICC, Hickman, etc.) need daily flushing with Heparin or similar for the same reason. They are extremely beneficial, but do hang from the chest or arm and present a snagging or other risk. Showering requires that the line be covered with a waterproof covering. Ports have no such limitation and are mainly perceived as just a lump beneath the skin. i was told that my mediport did not require flushing. ShadyGuy, I think thats true as long as your actively in treatment. Once I finished chemo I was advised to flush every 4 weeks. If your doing blood draws or Rituxan every two months it would stay flushed. Never requiring flushing seems odd to me. Anyway, I love my port and am very glad I have it as I could not imagine getting poked numerous times. Due to my UC I lost over 20 pounds and now my port sticks out of my chest. Very noticeable and I keep bumping in to it. But the nursing staff loves eeasy access. it was flushed and filled with heparin after each chemo session and R infusion. Should never require flushing between or after use. Nurse told me several patients went “several months” between uses without flushing. I have heard of one lady who went for 1 year without flushing. I hate ports and had it removed as soon as practical. I have good veins so infusions in my arms are a non event.Convenience for nurses, while nice, is not a primary goal of mine. Necrosis did not appeal to me. I agree that for strong chemo drugs a port is the way to go. That is why I had one for my chemo. But simple Rituxan not so much. I have had 37 IV Rituxan infusions in my arm with no obvious negative effect. The ship, she's listing to port, captain ! Depending on the drugs to be recieved and the cancer center involved, getting a port is often not a matter of personal thinking, but required, manditory. Thankfully, Rituxan and the other monoclonals are not ones that demand a port anywhere, that I've ever heard of. But the few centers that will administer highly toxic agents or even vesicants via a hand IV are not being "'generous" with patients' decision-making, but careless. "Port" questions are among the more commonly recurring here, so a compilation of information is undoubtedly a good thing. Relevant to Shady's points, a psychiatrist wrote a slim volume in 1970 about getting contorted in worry. It became a cult classic of sorts: R.D. 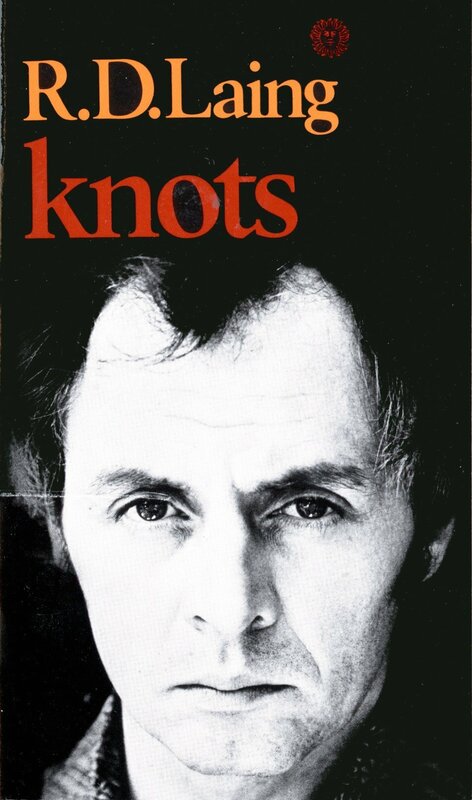 Laing's Knots. Laing was a true child of the 60s, and began the "Anti-Psychiatry" movement among psychiatrists. I pretty much memorized the book in middle school. It is still delightfully fun. Laing's influence is very clear in Pink FLoyd's music, which has as a base element grappling with psychosis, especially their defining hits Comfortably Numb and Shine on You Crazy Diamond -- a tribute to their founding lead guitarist Syd Barrett, who was replaced by David Gilmore, after Barrett went totally insane. I recomend YouTubing these hit classics. The two lead solos in Comfortable Numb are routinely rated by Rolling Stone magazine as one of the greatest in rock music history. Worried about worrying about not worrying enough. My spiral notebook is quickly filling up so I am worried about that. I am worried that I worried so much about not worrying enough that I have to get another notebook which makes me worry that people will notice that I didn’t worry enough and they will want me to worry more about uuuh .... something but I can’t remember what ... which really, really worries me. Hey man (from Bowie's Suffragette City), my suggestions are for those to whom they apply. You are completely free to not read and not post. Ain't freedom a wonderful thing?